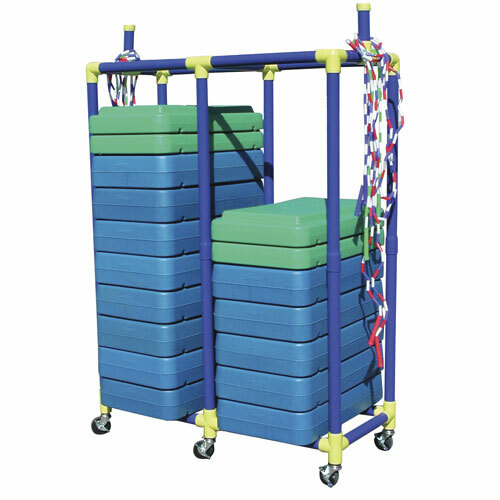 This is a large capacity storage rack and transporter for fitness steps and resistance tubes. Lightweight and durable, this cart will safely store up to 32  4" steps or 16  6" steps plus resistance tubes. Other features include heavy-duty, ball bearing, swivel, non-marring casters with a roll lock feature. 45" L x 19" W x 60" H and will easily pass through standard doorways.